Maybe you want to be skiing Poconos mountains in the winter or finding things to do in Pennsylvania over the summer months. Winter sports are very popular activities in our state. 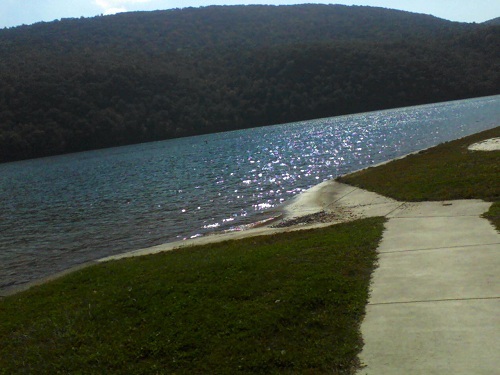 Or maybe you're searching for campgrounds in Pennsylvania to find some relaxation and quiet for a few days. This is another popular recreational activity over the spring, summer and fall months. Visitors love to be outdoors taking in the beauty of the state. Fredonia can be found in the north western part of the state. History buffs will love Fort Loudon, built in the mid 1700's at the time of the French and Indian War. There's some neat monuments in this town that we stopped at. Fort Washington is another historical area located in the south eastern region. Fayetteville is located in the southern tip of the state, right in the center. You'll find Folsom in the state's southern region in the east while Farmington is in the southern tip of the state in the western region. More history awaits in Fairfield, located in the central part of the state near Gettysburg. Forksville, another interesting named town, located in the northeastern region, is home to the Sullivan County Fair and close to Worlds End State Park. The towns and cities below all begin with the letter F.
The city name takes you to that city's visitor page. We hope you enjoy your visit, and come back to visit us again!